Online content is the future. Entertainment is nothing short of a religion in India. The world of Media is slowly shifting towards the online space, especially the entertainment industry. A mobile phone now doubles up as a television set, instantly empowering the consumer by enabling him to pick and choose from a wealth of content at his own time of convenience— while the rules of engagement continue to branch out into new spaces, facilitating the growth of a new market that's waiting to be served. This gradual shift from appointment-tv to digital media has marked the arrival of a new parking space for not just content, but data-led content, opening up endless possibilities for both content creators and consumers. KPV, or Kavi Puvi Via Media, is a new-age digital media company set up to cater to the growing demand for fresh, original and engaging video content for South Indian audiences across the globe. Advertising dollars are gradually moving from TV to online channels, which offer an opportunity for creators to access their massive distribution. With good production values and top-tier programming, original online content is slowly beginning to woo audiences away from the clutter of user-generated content. It is abundantly clear that the way forward with content lies in original programming. And when you add a powerful demographic to the mix, you have The Story Mill. Think Global. Act local… But with data. YUV is a next-generation video platform that helps users with local and regional video collections based on their preferences, and viewing patterns and behaviors. YUV uses data to help creators figure out what audiences want to watch. This kind of data helps content creators understand the market on an ongoing basis and reduces audience disconnect drastically. This data also helps with product placement. If a local brand catering to a certain kind of viewer wants to reach out to an audience, YUV tells them exactly which kind of content they should be sponsoring and/or creating. The broadband revolution going on in India will greatly benefit YUV. The market is huge, especially because there isn’t much content out there that caters specifically to South Indians. YUV is the place where data meets content. And the audiences are going to love it. Brands won't be far behind. The Story Mill is the creative engine of Kavi Puvi Via Media which is dedicated to producing original, quality content for a global south indian audience. Our production house is a forerunner to the world of branded entertainment, creating a new ecosystem whereby brands engage creatively and emotionally with customers by being a part of their lives, dialogues and discussions. This, in turn, helps content creators monetize and produce material prolifically. Audiences now enjoy stories that identify and highlight intricate cultural differences and emotional similarities, lifestyle preferences and social familiarities. Stories have grown increasingly varied in terms of emotional content as a result of a far more diverse social context, while the storytelling-form itself remains simple, communicative and inclusive. The demand for tales that are rooted in its people, culture, tradition, idiosyncrasies and value systems, continues to increase, and this is the very foundation upon which The Story Mill works to deliver quality content. The founder of KPV Media. A fourth-generation entrepreneur from the prestigious 65-year-old Dinamalar Group- a leading Tamil Print/Digital media channel. 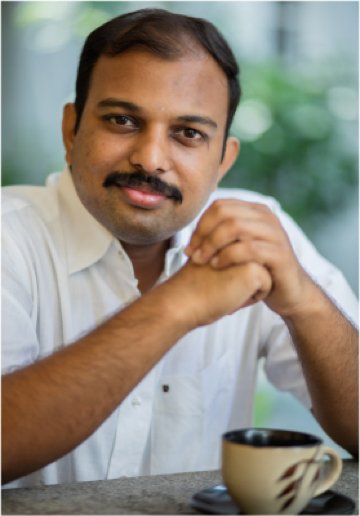 Lakshmipathy has spearheaded several digital initiatives that has made dinamalar.com into one of the largest Tamil Portals in the world. A well-known Indian Film and TV personality. Radha has produced more than 15 films and 10,000 hours of episodic TV content, in addition to his association with more than 50 feature films in multiple domains as Co-writer, Producer, VFX Supervisor, Actor,Casting Director, Tech & Business consultant. Gautham is a Chartered Accountant with decades of experience in International Banking & Financial Services. As an advisor for alternate energy , he has set up several energy projects in India. 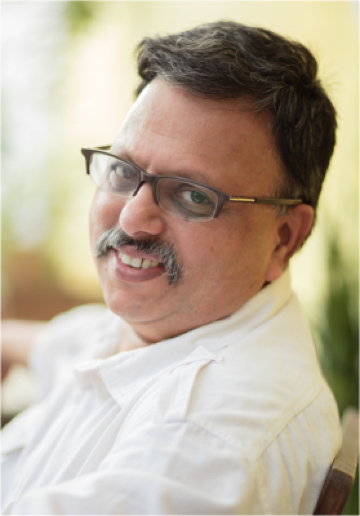 He currently serves as the financial adviser for new initiatives within the Dinamalar Group. 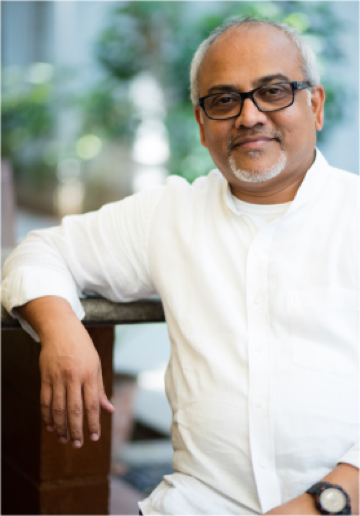 R. Ravichandran has over 27 years of experience in the Technology Industry and was with Intel Corporation for more than two decades in multiple leadership roles across Asia Pacific. Ravi has a deep understanding of consumer behaviours, technology trends and emerging digital business models. Kumar Ramanathan has held several leadership roles at Britannia, Pepsi and was the Chief Marketing Officer of Vodafone India. Kumar is a founder at Positive Integers that architects customer value management solutions. He also serves as Independent Director on the board of two subsidiaries of the Tata Group. We wish to build and facilitate a broad Content Partner Ecosystem to scale with us, ensuring IP rights are protected under the right regulatory framework. With a focus on excellence in execution, we stick to commitments and deadlines, adapting ourselves to achieve results promised to our partners, customers and shareholders. We create and nurture an atmosphere that is open, fun and honest; a healthy home for creativity and innovation that will bring our audiences the highest quality in entertainment. We conduct our business ethically and with utmost integrity, reflected in all our engagements with internal / external stakeholders. We actively encourage diversity in culture, and the plurality of ideas fostering an expansive, inclusive and creative discourse. We strive to Care for the environment, sustain it, while creating awareness and building a socially responsible Community.